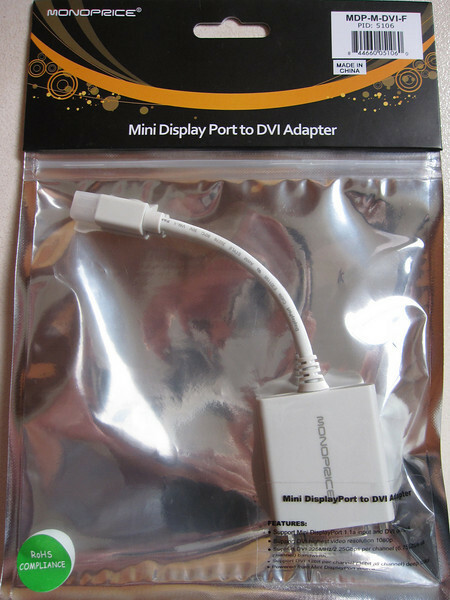 My beloved colleague travelled to the United States recently so I had him bring back a ton of cables from Monoprice. 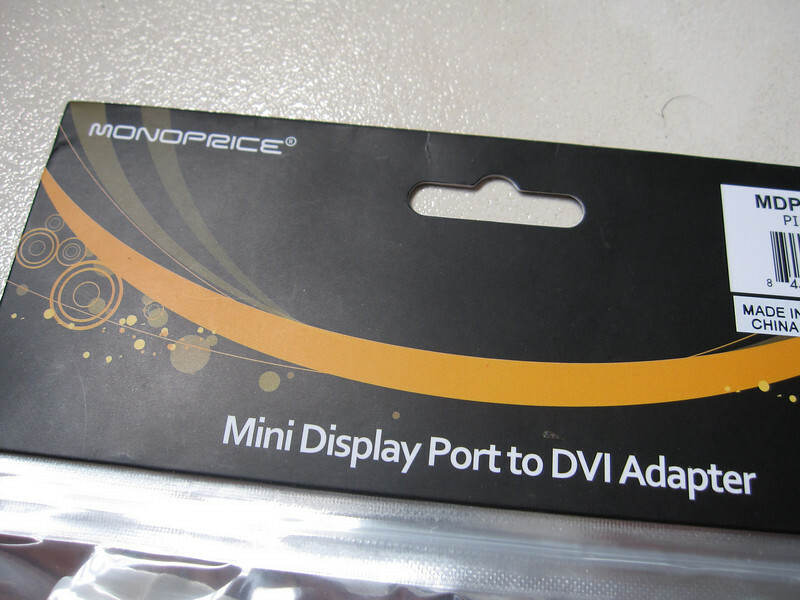 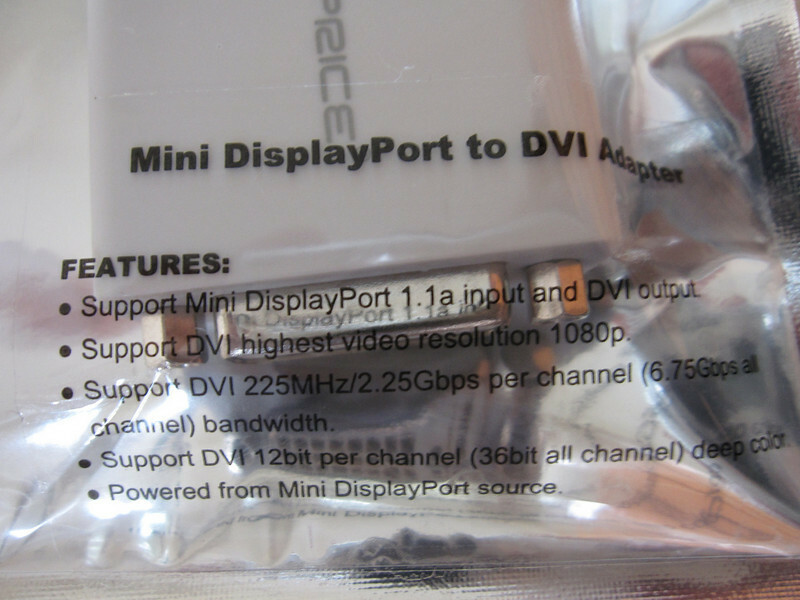 Including this Monoprice MiniDisplay Port to DVI Adapter cable. 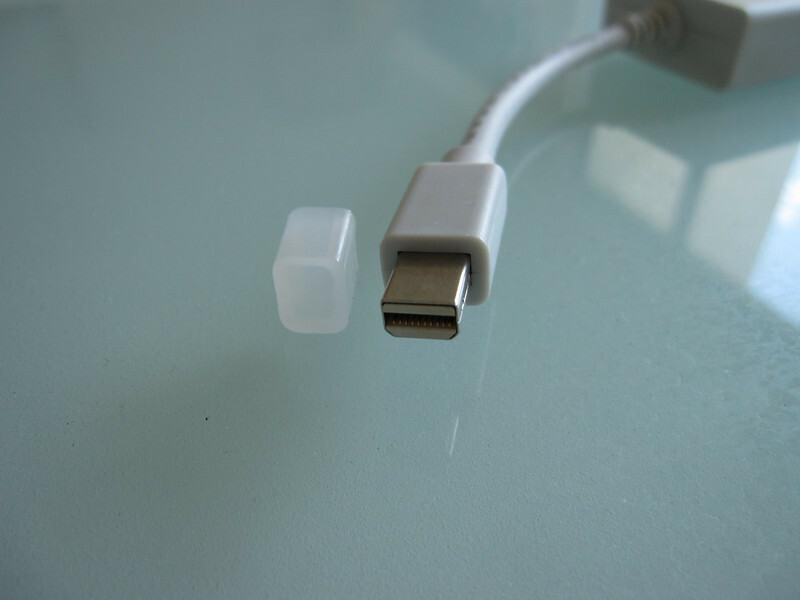 Will share how I use this to do dual display in Mac Mini in another posting but here’s some photos of the cable. 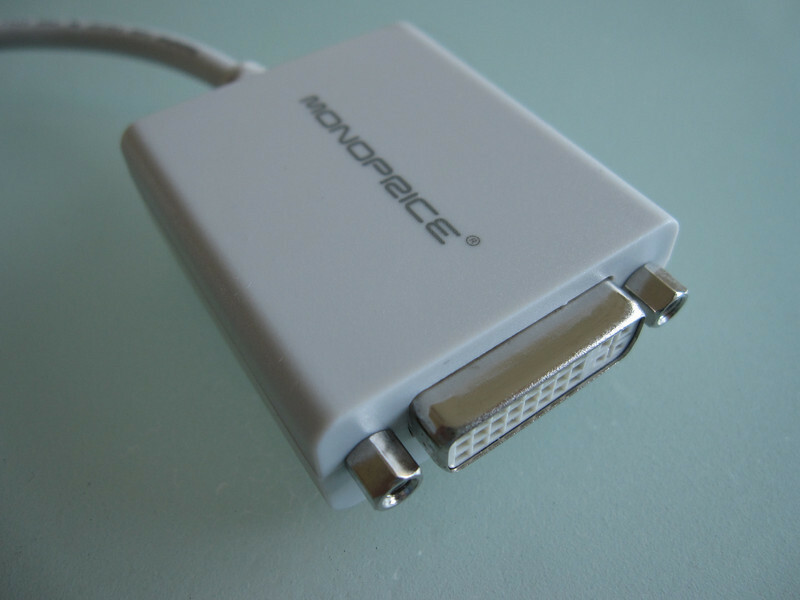 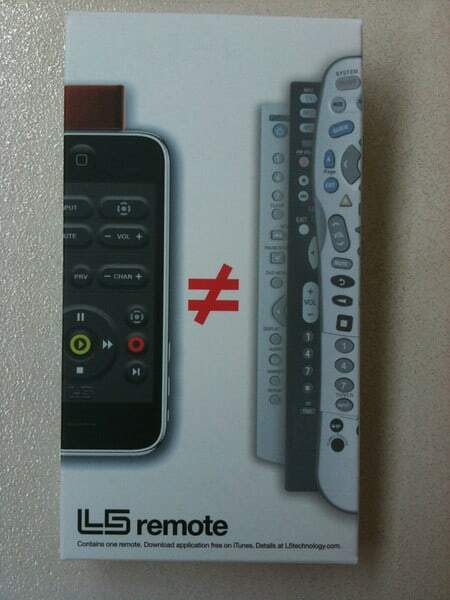 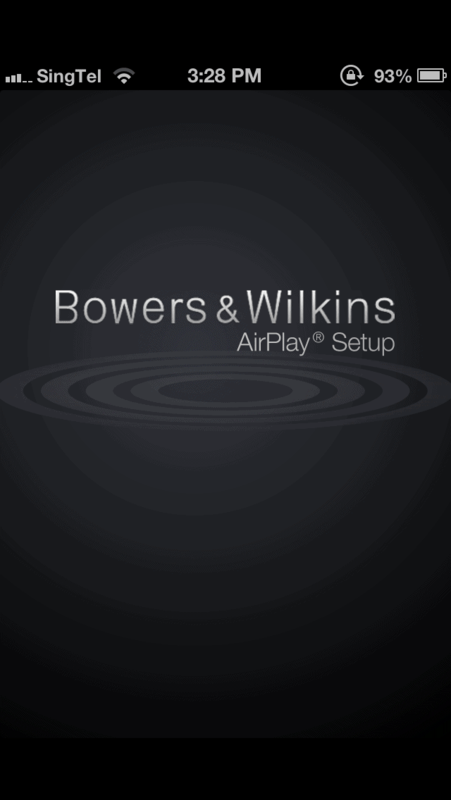 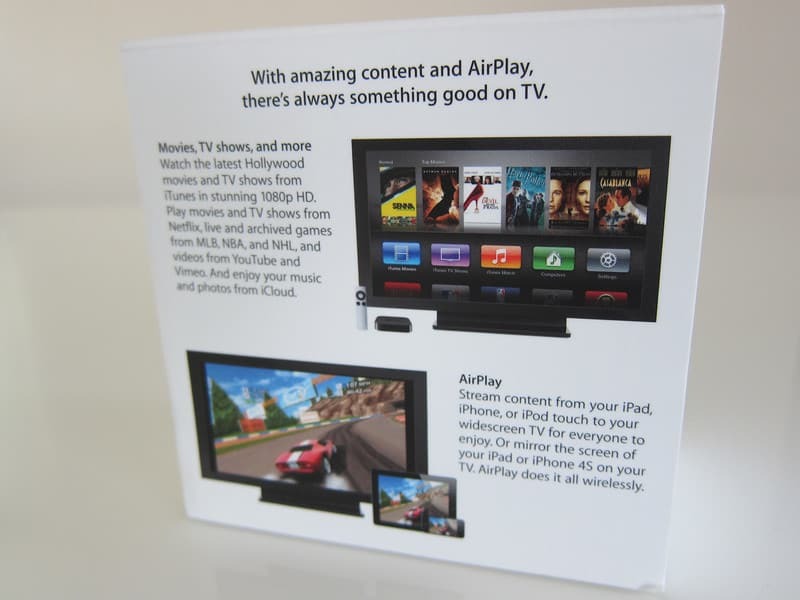 I love Monoprice products. 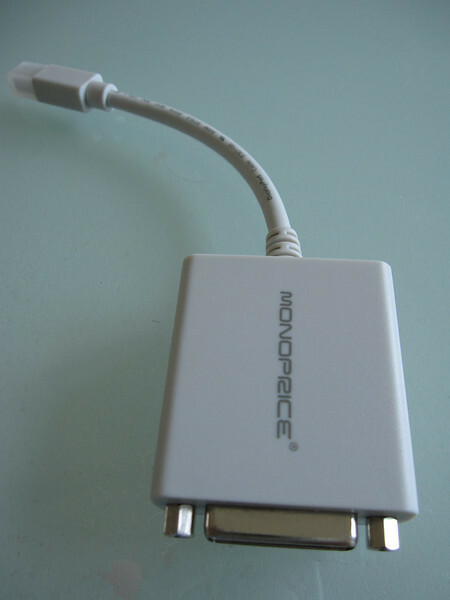 I will move to USA just to be close to Monoprice but then there are only so many Monoprice cables you can buy !